There’s a lot of feelings Christians have about this holiday. I grew up going trick-or-treating, and only stopped because we moved and my parents weren’t sure of the neighborhood. 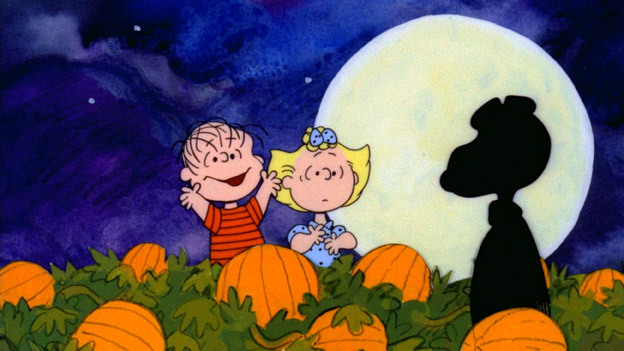 We always decorated the house with Halloween decorations, still had Halloween parties, and even enjoyed It’s the Great Pumpkin, Charlie Brown, ever year. My family didn’t really view October 31st as anything but a lot of fun–and my parents were missionaries. I also went to a Christian school growing up and have very vivid memories of a chapel presentation on the evils of Halloween and how I needed to never look at jack-o’lantern–to “beware the eyes of blazing fire!!! !” We couldn’t talk about Halloween, were never allowed to discuss our costumes, and every year somebody would give us a scary tract to hand out to kids. I don’t remember why, but I remember to watch out for those eyes of blazing fire!!!!! So I get it. In Christian families and circles, it’s one of “those subjects,” like Harry Potter or Disneyland or Santa Claus. However I feel about it personally, as a children’s pastor, I have to face it every year. And I have to ask, what’s our church going to do about Halloween? I don’t mean “about” the holiday itself. Most of the children’s pastors I know aren’t actively boycotting it or protesting it or tweeting about the dangers of walking into one of those “Spirit Halloween Stores” that pop up in odd locations this time of year, regardless of how they feel about it. The question they are asking is whether or not they will do some sort of Halloween “alternative” for families. Knowing how I grew up, you’re probably not surprised that the first Halloween that I was the Children & Family Pastor at New Life, I decided to create a big event for families called Fallapalooza! 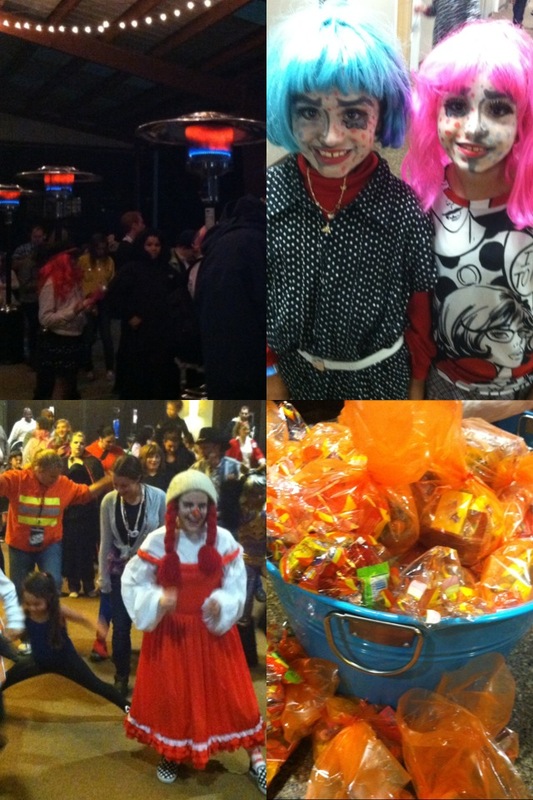 It had all the trappings of the traditional church non-Halloween event. We had lots of haybales, buggy rides, pumpkins, scarecrows, and candy. My point was, if you don’t like Halloween, great! We want you there! Bring a friend! Have a blast! And, if you love Halloween, that’s great too! We want you there! Bring a friend! Have a blast! Walking around our Fallapalooza, we see exactly the target demographic we are trying to reach in our community: young families, young dads and moms, and their kids. And because we make it something that involves all the fun of Halloween, the people we want to encourage to invite non-churched friends with kids are doing just that. 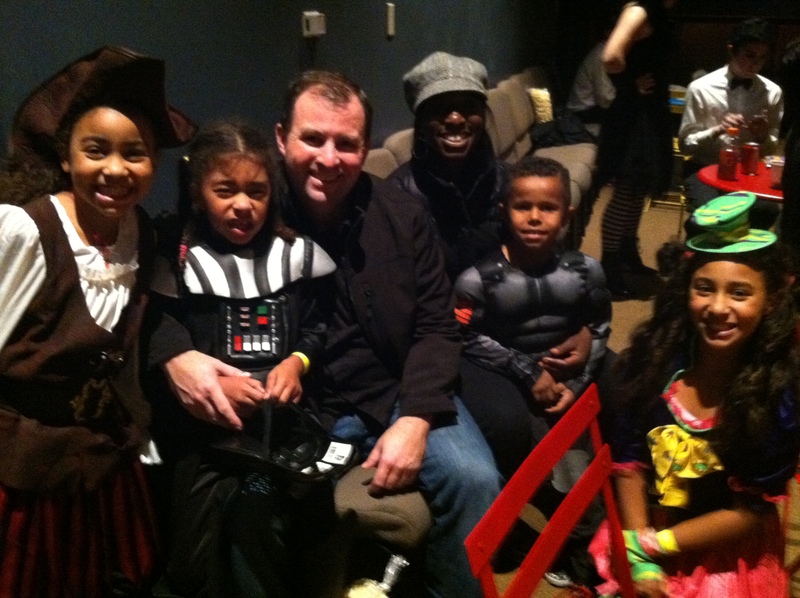 We now have almost 2,000 parents and kids attending a big night that helps families enjoy being at church together. We do a big show that incorporates worship, Bible teaching, sketch comedy, and a lot of laughs (and reinforces exactly what we’ve been talking about at our weekend gatherings). We then send families out to use our whole campus for hayrides, food trucks, live bluegrass music, inflatables, costume contests, and more. One of the biggest things I’ve come to realize is that Time Matters. And one of the biggest mistakes churches can make is in not creating times for parents and kids to be together at church. If the greatest gift you can give your child is the gift of your time, why not create moments (times) at church when families can experience laughter, God’s Word, candy, rides, worship, costumes, and a whole lot more? And these people in our community come back and check out what we actually do on the weekends. And guess what? What we do on the weekends is pretty much what we did during Fallapalooza! Oh, we don’t do costumes or have hayrides every Sunday, but by exposing families to the way we teach kids and families the Bible, how we worship God with a lot of energy and excitement, they know that what the church showed them during the week is going to be the same thing they experience on the weekend. There’s no bait-and-switch involved. So, here we are. Halloween is nearly upon us. We have lots of choices as parents and families. As a children’s pastor, I’ve got a big one. What are we going to do about this holiday? I’m going to treat it like I treat every other holiday: as a time to show the world the love of Jesus. As a time to show families that church is not a place where boring people go to die. As a time to help kids and parents connect with each other in healthy (emotionally, not physically, since there is all that candy) ways. As a time to help our families remember that that there is a community out there that needs to see the light of Jesus shine brightly. Our Fallapalooza event is never scheduled on Halloween night. Why? Because there’s no better way to spend a holiday that some can view as dark than by being light. Once our families invite their friends to experience the fun of Fallapalooza they can shine their light even further in their own neighborhoods. If there’s one night when Christians should keep their porch lights on, their doors open, and the candy flowing, it’s this one. Halloween’s coming. What will you do about it?